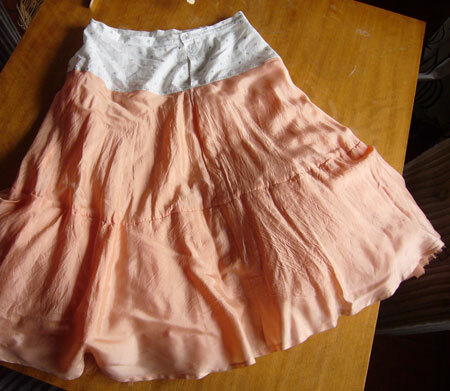 Have you been to a clothes swap? They are genius. You invite a large number of ladies, bring all the stuff you don’t wear, madly try a bunch of things on, score some new stuff and the host takes the leftovers to the op shop. The challenge is to invite fresh meat each time so you don’t just keep swapping the same polyester 70s vest over and over (still, that does happen). Despite knowing a bevy of similarly statuesque clothes swappers, I don’t usually score much. But a few weeks back I had my best haul ever. 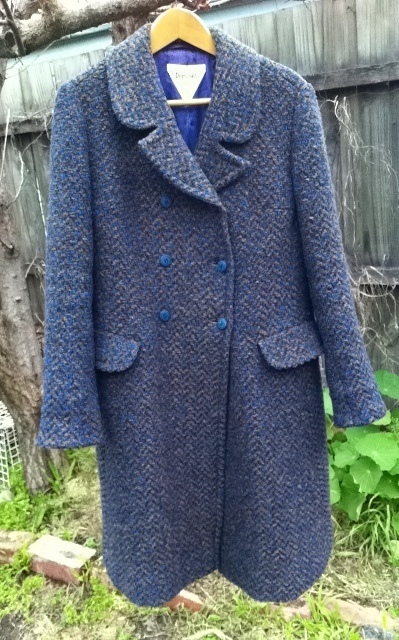 A cardie, couple of tops, silk dress, and a corker old coat. I’d guess early 70s perhaps, all wool. It just looked a bit tired. That was then, this is now. After a clean, hem and button refastening and tucking in some pulled threads, tis lovely again. The most important alteration was to let the sleeves down because it was a bit Herman Munster length on me. 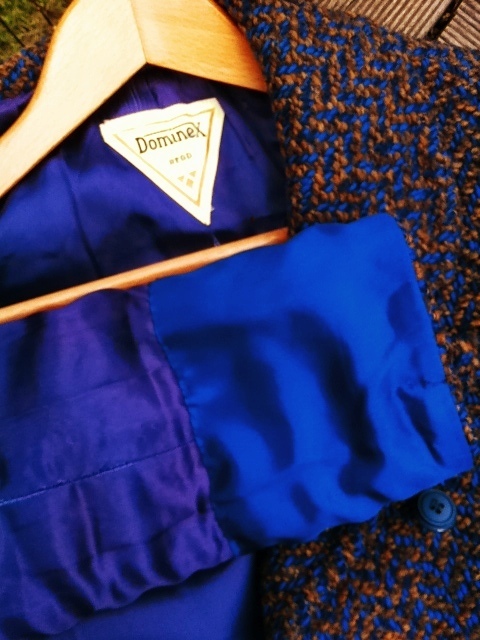 These old coats often have generous turn ups on the sleeves, and by simply inserting a strip of lining, you can add a good 2-3″. 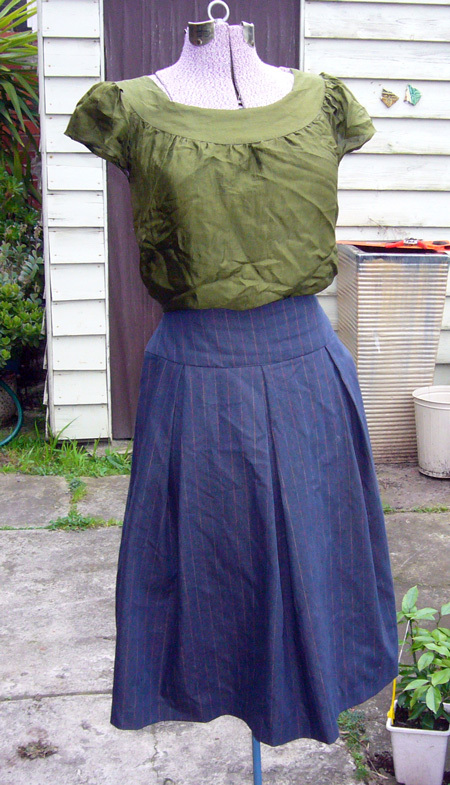 Which I did with some nearly matching acetate lining. This pic also shows the intense electric blue and brown weave of the cloth. Hooray for new free coat! 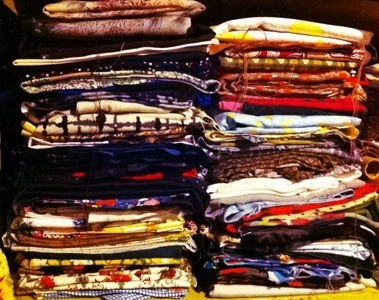 A parting shot of a Thing Of Beauty: neatly refolded and restacked stash. This is probably one sixth of the full stash. Yessirree, I think we have a problem.